If you’ve been following along on this 30-day trip, or if you’ve read The Movie Files in the past, there’s no doubt you’ll realize that I’m one of the rare horror fans who doesn’t mind remakes. Hell, I’ve already touched on three (The Ring, Zack Snyder’s Dawn of the Dead, and The Thing), and we’re only 17 days in. 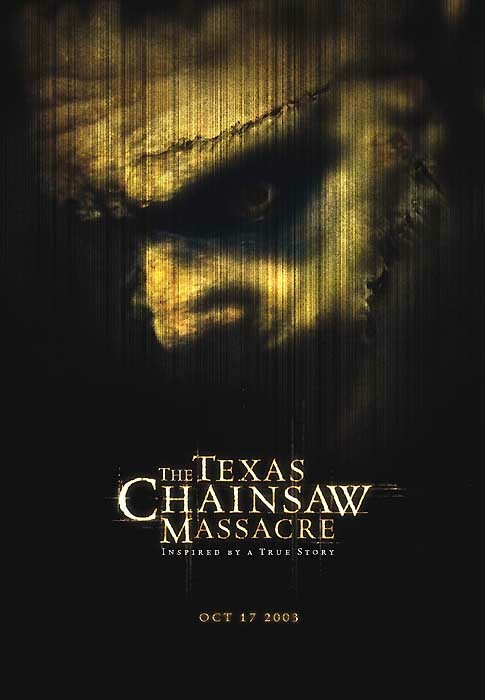 With today’s category – my fourth remake on the list – I’ve chosen the film that set the standard for me, and the reason why I’ll give any remake a fighting chance: The Texas Chainsaw Massacre. The opening scene with the hitchhiker is one I’ll never forget, but for different reasons than the scene with Jessica Biel in her white shirt with rain pouring down. What really sold me this movie was its scary trailer. I was at the theatres a lot in the early 2000s, and this trailer sticks out as one of the only ones I can remember (that and Saw 2, which was customized for major cities, Detroit being one of them). Whenever I hear that flashbulb sound in other movies, I immediately think back to how scary The Texas Chainsaw Massacre was when I first saw it. There are few characters better than Leatherface in the genre, and this remake was a great way to bring him back into our lives. An honorable mention must go to The Crazies (2010), because that movie was fantastic. With all do respect to the one and only George A. Romero, The Crazies is an example of a remake one-upping the original. It’s also how my man-crush on Timothy Olyphant began; he’s such an incredible actor. It seems screenwriter Scott Kosar’s (writer of both The Crazies and The Texas Chainsaw Massacre remakes) only misstep was the 2005 Amityville Horror remake, and even that wasn’t terrible, just extremely mediocre.